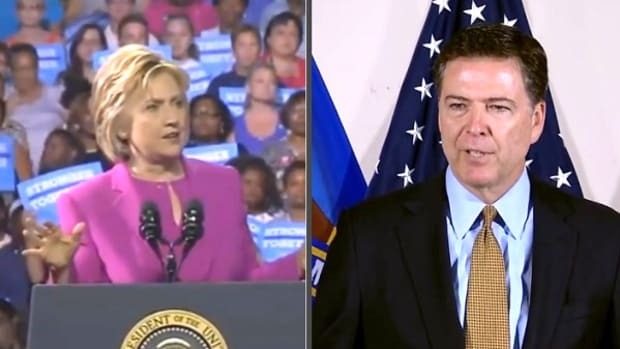 There were many political masterstrokes in Hilary Clinton's voting rights speech Thursday, but the most masterful one was her decision not to say anything at all... to the press. 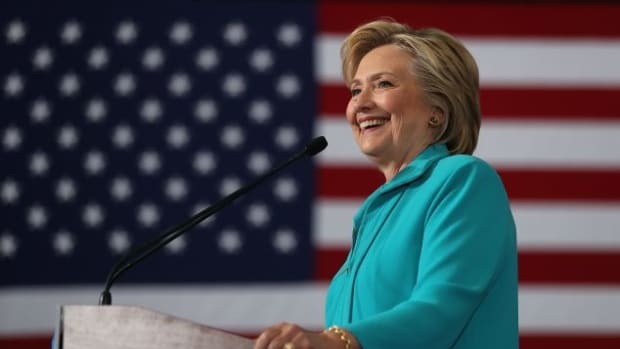 Former Secretary of State and Democratic presidential frontstomper Hillary Clinton may have sewn up the 2016 election Thursday, as she continued to chart a course that will turn out the coalition of voters who propelled President Obama to victory in 2012. 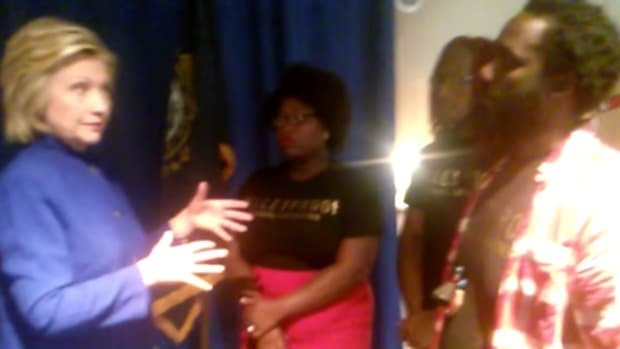 In a speech at historically black Texas Southern University, Clinton blasted the Supreme Court&apos;s evisceration of the Voting Rights Act, took aim at Republican governors like Rick Perry (R-TX) and Scott Walker (R-WI), and suggested a raft of ambitious voting rights reforms. The University&apos;s guidance: "There will be NO opportunities to interview Hillary Clinton; her speech will be her interview." 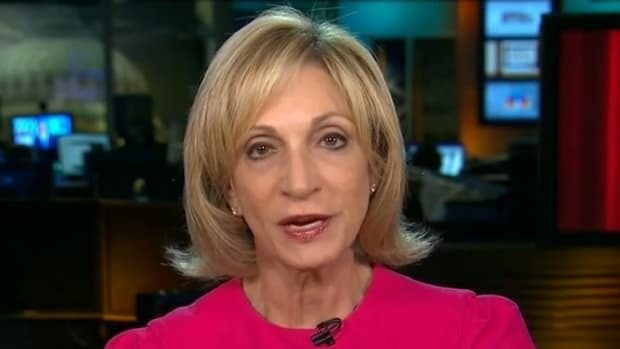 Even though that preemptive mic-drop came from the college, not the Clinton campaign, the media was all over it like Chris Christie&apos;s baseball uniform, adding it to their preexisting narrative about Hillary&apos;s campaign and setting it on fire. Given the media&apos;s existing bitterness, that slight threatened to become the story, rather than the speech. A funny thing happened, though, when Hillary Clinton delivered her speech Thursday: her speech delivered. 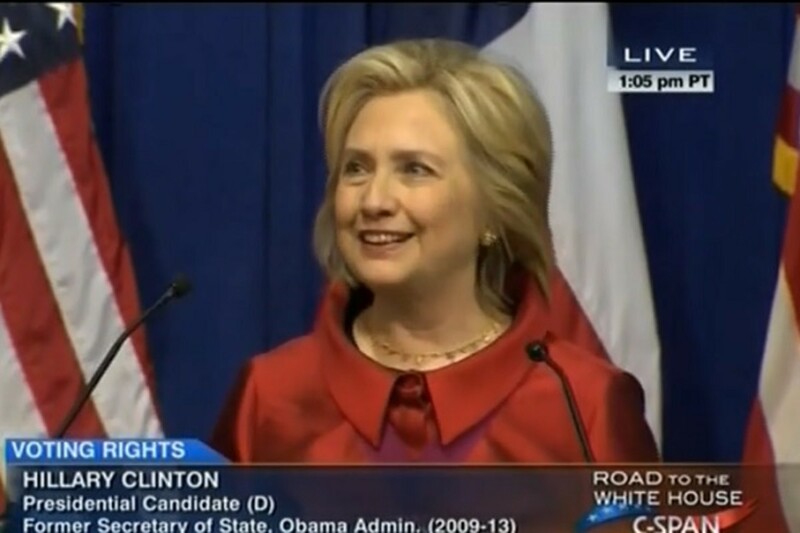 For Obama supporters, particularly those still smarting from the ugliness of the 2008 presidential campaign, Hillary again addressed that issue directly, and more importantly, made the Voting Rights Act the centerpiece of her speech. It&apos;s an issue that has broad support across the political spectrum, but deep significance to black voters. "(T)oday I am calling for universal, automatic voter registration. 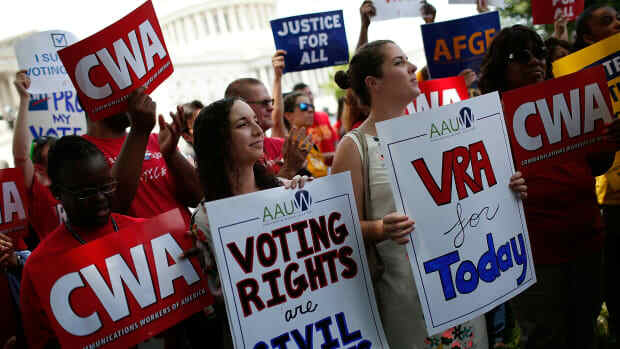 Everyone, every young man or young woman, in every state in the union should be automatically registered to vote when they turn eighteen – unless they actively choose to opt-out. ...We can do better. We can make sure that registration rolls are secure, up-to-date, and complete. When you move, your registration should move with you. If you are an eligible voter, and want to be registered, you should be a registered voter – period." Mic, dropped. Clinton&apos;s embrace of the Voting Rights Act was probably the most politically significant aspect of this speech, but calling for universal registration did something strategically important: it made the speech news. 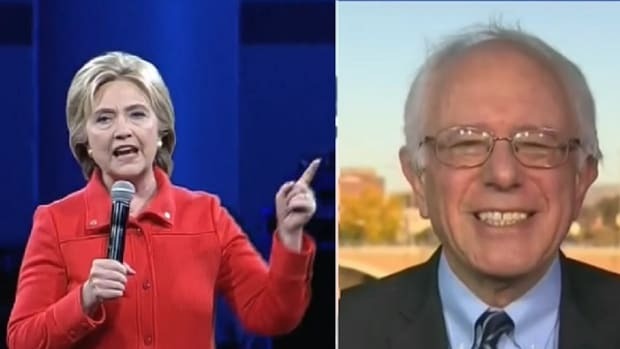 No one is talking about Hillary not taking questions today, they&apos;re talking about the speech. 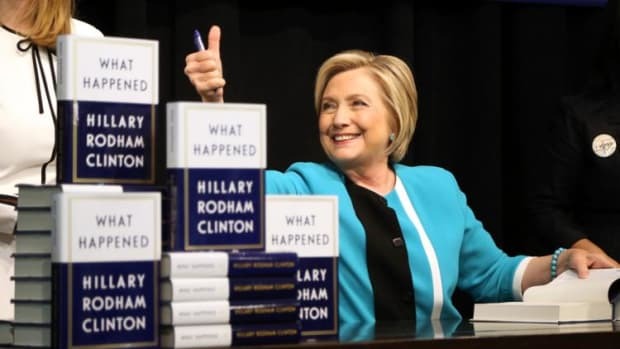 That&apos;s also why the decision not to do an avail looms so large, because if she had taken questions after that speech, then the story would be about Ed Henry hectoring her about emails and/or Benghazi. 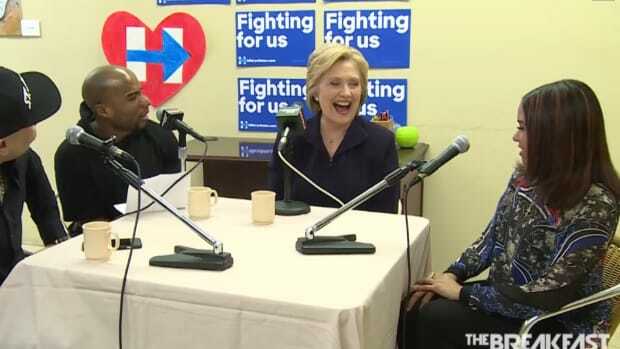 The impact of her voting rights speech would have been blunted, if not completely absorbed, and the Clinton campaign would have gotten not an ounce of credit for making her available. Wow! Thank you so very much. I cannot tell you how personally honored I am to be here with all of you, to be at this historic institution. Let me start by thanking President Rudley, everyone at Texas Southern university. It&apos;s a great treat to be here, to have heard just briefly from Dr. Rudley and others about the incredible programs and progress and the fact that you graduated more than 1,000 young people into the world not so many days ago. This institution is the living legacy, the absolute embodiment of Heman Marion Sweatt and the long struggle for civil rights. and for me, to be surrounded by so many here in Houston, Texas, and indeed from across our country, who were part of that movement is especially touching. I am delighted to be here with my friend, Sheila Jackson Lee, she has been a tireless champion for the people of the 18th district and state, and the country. I have to tell you though I thought she would tell you about the most important news coming out of Congress. And that is she is finally a member of the Grandmother’s Club. And as a member of now a little over 8 months it is the best club you will ever be a member of Sheila. I have to tell you I was excited to come here and to talk about an issue that is important to Barbara Jordan and should be important to all of us. But to do so in front of Dr. Freeman is a little daunting. I mean anyone who knows what this man has meant, not only to Barbara Jordan but to so many who have studied here who have been in anyway effected by his brilliant teaching, elocution and delivery would be a little daunted too. I noticed that both Dr. Rudley and Dr. Sheila both got off before Dr. Freeman came up. I also want to say my thoughts and prayers are with all the families in Houston and across Texas affected by the recent terrible flooding. And I am confident that this community will embrace them. I remember very well coming here after Katrina with my husband and in face we decided to invite along a young Senator from Illinois by the name of Barack Obama, along and with Sheila and other leaders in the community we toured the facilities that Houston had provided to those who were fleeing that horrific storm. And I saw how people had opened their hearts and their homes. This is a city that knows how to pull together and I’m confident you’ll do so again on behalf of those who are suffering from this latest terrible disaster. And it is also a special moment to be here knowing that Barbara Jordan was succeeded by Mickey Leland and the 18th District was so well represented for so long and I am delighted to be here with Alison and to remember the pioneering work he did on behalf of children and the poor and hunger. So many issues that he was the champion of. And I want to thank Rosemary McGowan and all the friends and loved ones of Barbara Jordan here today. This is such a particular honor for me because the award is in memory of one of my true personal heroes – a woman who taught me and so many others the meaning of courage and determination and justice. I first met Barbara Jordan when I was a young attorney and had been given a position working for the House of Representatives Judiciary Committee investigating Richard Nixon, and it was such a profound moment in American history and there wasn’t anyone who was a more effective eloquent inquisitor than Barbara Jordan. As a 26-year old fresh out of law school, as some of you are perhaps now having graduated from the Thurgood Marshall school here at TSU, I was riveted and not a little intimidated to tell you the truth by this unstoppable Congresswoman from Texas. I got to talk with her, which was thrilling, I got to hand her papers, which was equally exiting but mostly I got to watch and listen to her. And she defended and continued the civil rights legacy of Dr. Martin Luther King Jr. and her friend and mentor President Lyndon Johnson – and in particular she was a staunch advocate for the Voting Rights Act, which had helped make it possible for her to be elected. I remember talking to her and Ann Richards one time. And between the two of them, forget trying to get a word in at all. And they were telling me about how they would love to go to the University of Texas women’s basketball games. Right, and Barbara would be there by that time in her wheelchair and Ann would be holding court right next to her. And Barbara would be yelling directions like she was, you know, the coach. “Why are you doing that? Jump higher! That&apos;s not a pass!”, you know all of those kinds of sideline comments. And so Ann was telling me this, with Barbara right there and I finally turned to her and said, “Barbara, encourage these young women, don’t just criticize them.” And Barbara turned around and said to me, “When they deserve it, I will”. There had been more than 20 hearings in the House and Senate Judiciary Committees. Testimony from expert witnesses. Investigative reports documenting continuing discrimination in covered jurisdictions.There were more than 15,000 pages of legislative record. It’s not just convenient -- it’s also more secure, more reliable, and more affordable than absentee voting. So let’s get this done. We need more Justices on the Supreme Court who will protect every citizen’s right to vote, I mean the principle underlying our Constitution, which we had to fight for a long time to make apply to everybody, one person, one vote and we need a Supreme Court that cares more about protecting the right to vote of a person than the right to buy and election of a corporation.